The Rebel Sweetheart. 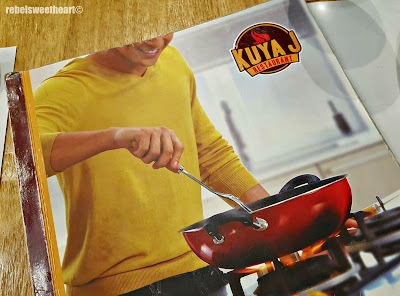 : Foodie Goodie | Kuya J Restaurant. Mum had been craving for halo-halo ever since she arrived two weeks ago. All the more after seeing Jericho Rosales' halo-halo commercial on TV. 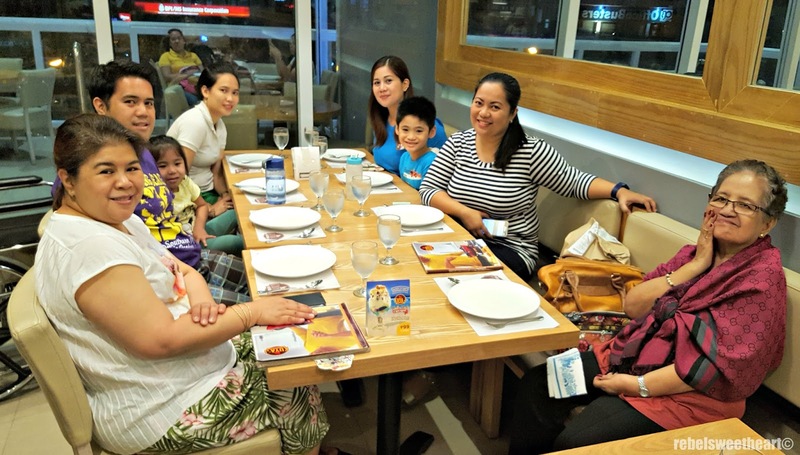 And so last Saturday, we went all the way to SM Lipa to dine at Kuya J's - the restaurant which Jericho Rosales endorses - and give their halo-halo a try. 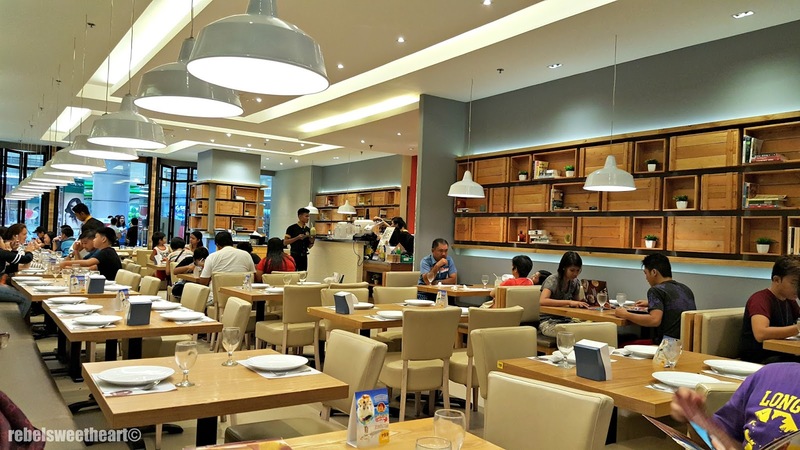 A casual dining restaurant, Kuya J offers traditional Filipino dishes in a setting that's cozy and homey, yet posh at the same time. Just look at the interiors - very minimalist and quite pleasing to the eye, unlike some of the traditional Filipino restaurants that I have been to. Our group of eight (six adults and two kids) were given seats at the far end of the restaurant, near the door which leads to the al fresco dining area. Their menu is pretty impressive, too. Lots of food choices from appetizers to sizzlers, soups and vegetables, rice and noodles, and drinks and desserts. Before placing our order, we asked the waitstaff if their dishes are good for sharing. He said yes, and that each dish can serve 4-5 persons. We figured it would be alright to just order one serving of each of the following dishes since the six of us were supposed to be on a diet. Haha! Kuya J's Crispy Wings, Php 240. 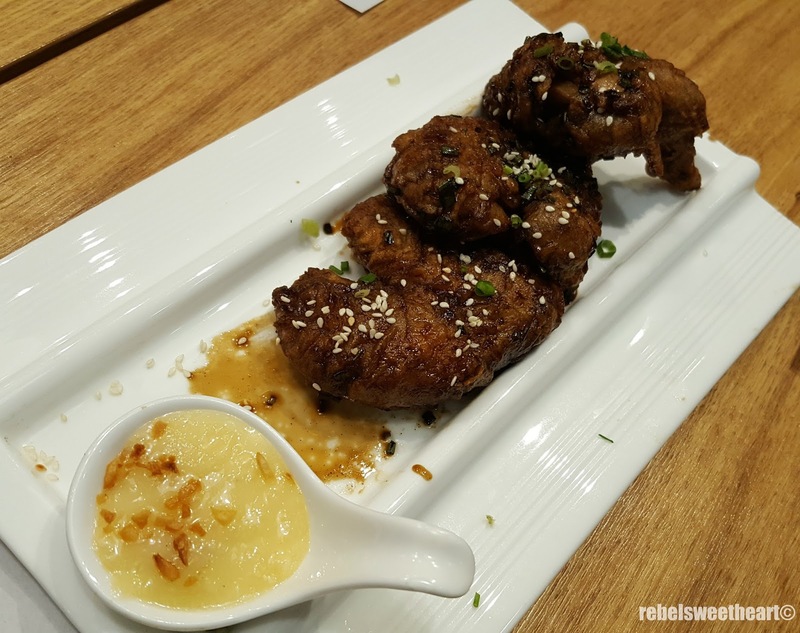 Kuya J's Crispy Wings - crispy chicken wings cooked in savory sesame sauce and served with a garlic mayo dip. I'm not sure how three pieces of chicken wings can serve five, let alone four people. What is this, manna from heaven?! But to be fair with Kuya J, these wings were very flavorful. My son loved it so much he ate it with rice. Camaron Rebosado - deep-fried battered shrimp served with sweet and sour dipping sauce. 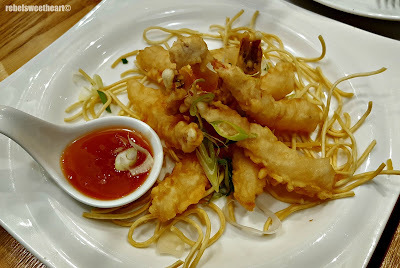 This dish was just as good - the batter was light and crunchy, the shrimp meaty and well-cooked. Bam-i - vermicelli and egg noodles mixed with pork belly strips, squid balls, shrimp, squid, and fresh greens. 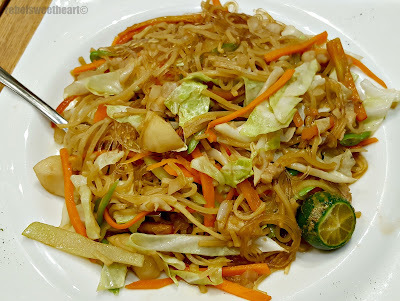 It's your typical pancit, good enough for my grandmother's liking. Kare-kare - beef and oxtail stew in a peanut-based sauce. The flavorful sauce and the fork-tender meat did not disappoint, but as usual, the serving was a little less than what we expected. 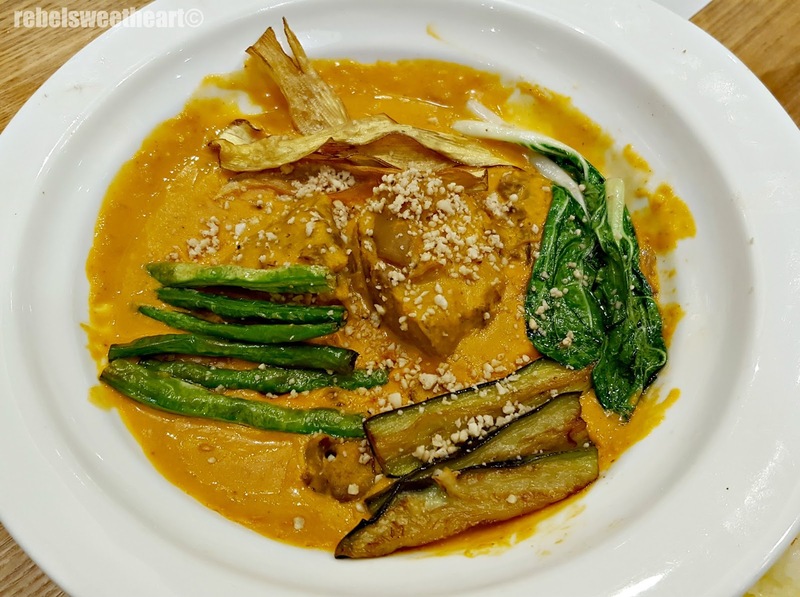 We ordered two additional servings of the kare-kare and had to wait for another fifteen minutes for it. Kuya J's Bulalo, Php 485. Kuya J's Bulalo - beef and bone marrow slow-cooked with secret spices and served with corn and vegetables. 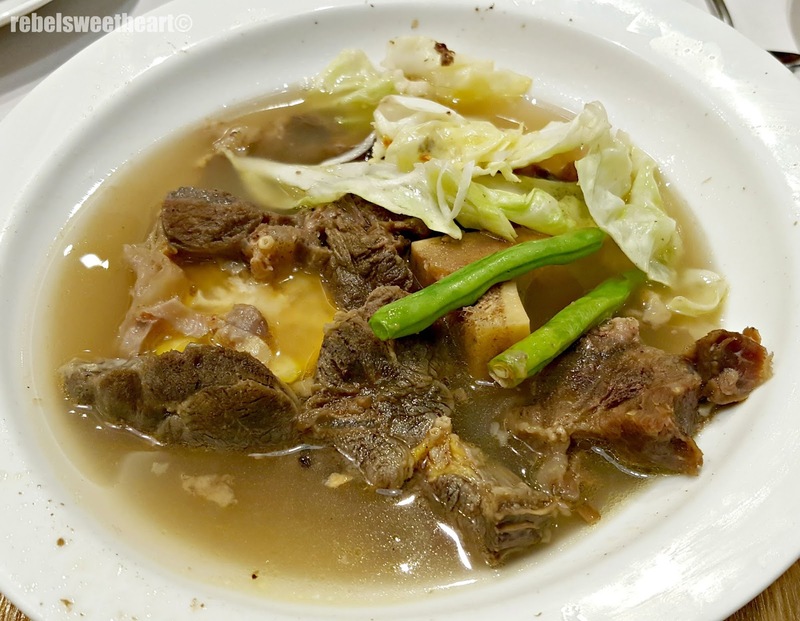 Not a fan of bulalo, especially in this kind of weather, but my Mum and grandmother enjoyed this best-seller from Kuya J. I reckon the soup was pretty good as my son and my niece had second helpings. Crispy Dinuguan - deep-fried pork belly in rich blood sauce. 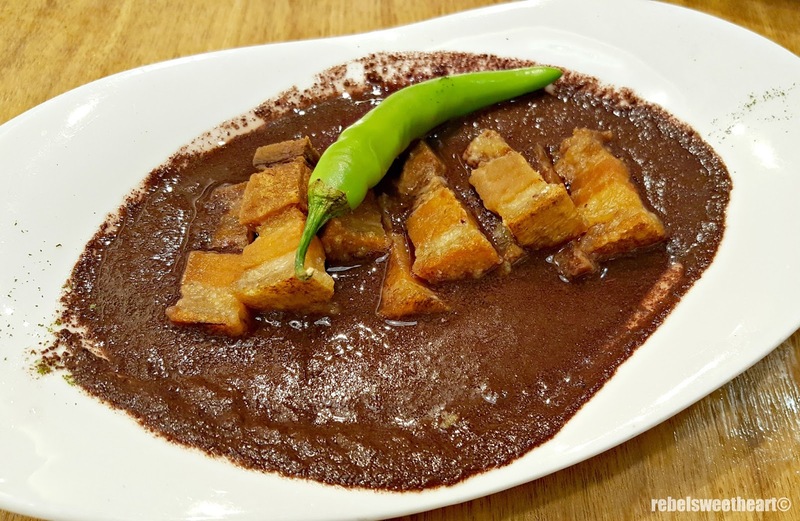 I was expecting this dish to be like Kanin Club's Crispy Dinuguan with the pork chunks mixed into the rich and creamy sauce. But alas, Kuya J's looked nothing like it. The serving is a tad smaller, too. Garlic Rice Platter, Php 140. We ordered two servings of the Garlic Rice Platter thinking that it would be enough for all of us. Had we known that one platter isn't even enough for the kids to share, we could have just ordered eight cups of Garlic Rice. 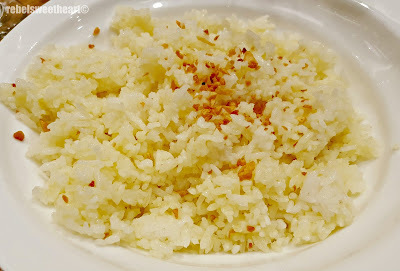 Or the Unlimited Rice at Php 60 each, but that would be bad for our diet. Tablea Coffee Flan, Php 85. Thankfully, the desserts exceeded our expectations. 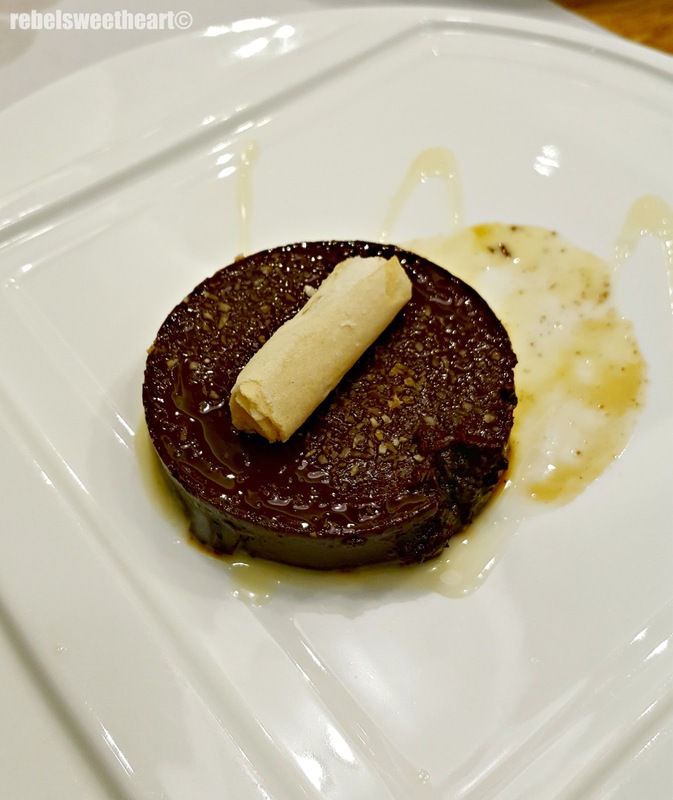 The Tablea Coffee Flan, made with Batangas tablea, is divine! It's literally bittersweet as the subtle bitter flavor of the tablea gives a nice contrast to the creaminess of the leche flan. 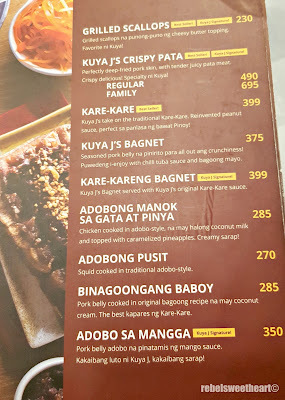 Kuya J's Halo Halo Espesyal, Php 99. Finally, the Halo Halo Espesyal, the main purpose of this dining trip. It was everything Jericho Rosales said in his commercial - ice made with carabao's milk, which makes the halo-halo extra creamy without being overly sweet. 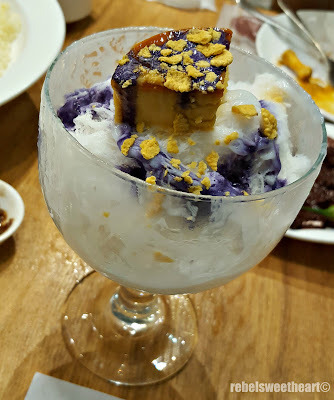 Best of all, this halo-halo doesn't scrimp on ingredients. Definitely worth the money! 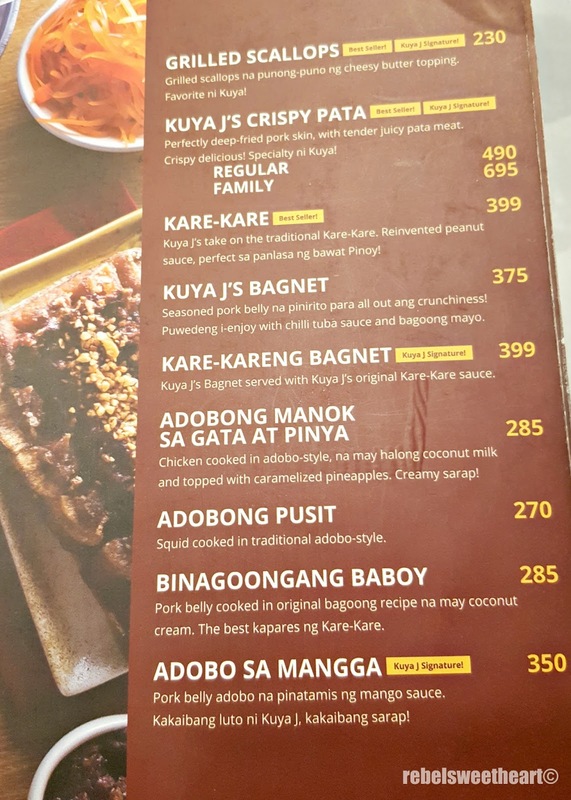 Our first dining experience at Kuya J's isn't exactly exceptional, as we were disappointed at how small the servings were vis-a-vis the price. Plus the waitstaff who tended to us was seemingly exasperated because we kept on adding orders halfway through the meal. That could have not have been the case had we known that their food servings were good for just two or three people. But they do serve good food and yummy halo-halo which I guess makes it worth the trouble. I haven't tried their food, it looks and sounds amazing from what I can see. Thanks for sharing your experience here! I agree, the portions DO look a little small, but they sure look amazing as far as taste!